A rash of Salvage Titles may show up in the auto marketplace soon. Following the one-two-three punch of Hurricanes Harvey, Irma and Maria, there will likely be an uptick in the purchase of new cars throughout the South and the Caribbean. That will also likely lead to the appearance of some too-good-to-be-true bargains on used cars across the country. After a declaration of total loss by an insurance company, some vehicles are sent to the Insurance Auto Auctions, or to Copart. Both are multi-location auction facilities located around the country that specialize in damaged or salvaged vehicles that have been through, well, not to sugarcoat it, a disaster. According to Autotrader parent Cox Automotive, estimates from their chief economist point to upwards of 600,000 vehicles damaged by the storms in the continental United States alone. The numbers are still out regarding vehicles owned by the 3.4 million residents on the island of Puerto Rico. Cars may be considered a total loss by their insurance companies after an inspection. 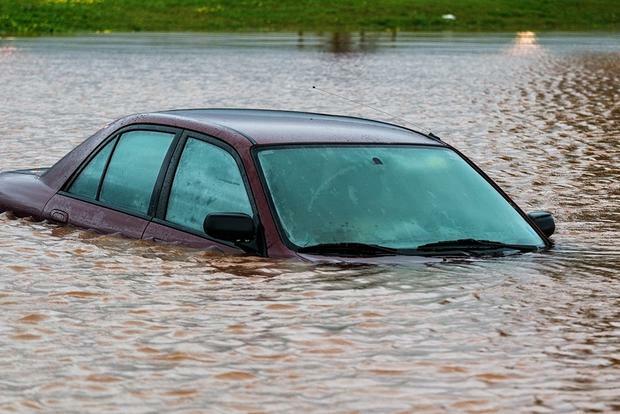 Such determinations occur when water has risen above the rocker panels and intruded into an interior, where it can cause damage to the vehicle's electronics. Other damage occurs when water seeps into a vehicle's crankcase or air intake and still more if it penetrates the vehicle's cargo area and causes submersion to the electrical wiring harnesses. 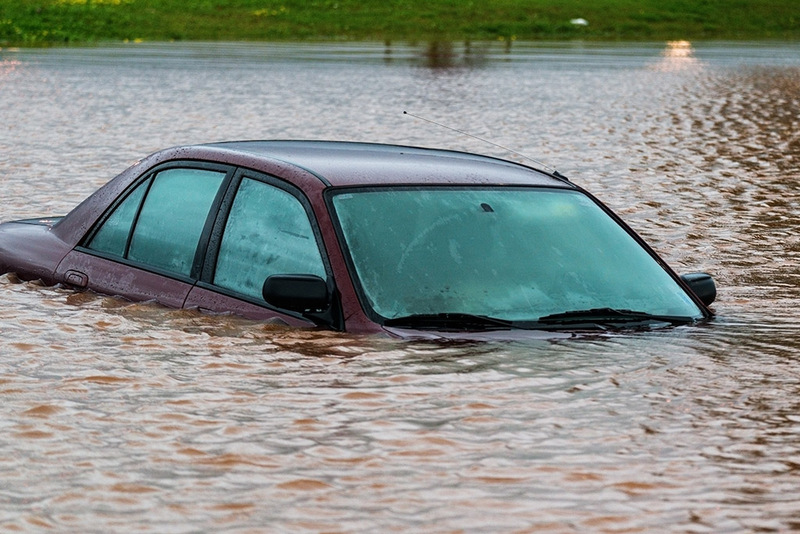 Our advice: Avoid flooded cars unless you're looking for specific parts or have the skill to completely rebuild the car yourself. Kevin O'Leary, Mr. Wonderful on the "Shark Tank" television show, is known for saying: "You're dead to me," to a prospective suitor. But that's not necessarily the case for vehicles that have suffered flooding or other damage, either before or after a sale. For instance, if a dealership informs its manufacturer that a car is damaged before being sold and titled (or, in automotive parlance, "delivered"), it is listed as "scrap." The state where the vehicle is located is informed of this status, and brands the vehicle's title as such. Automakers also keep records of such branding in their databases. Such "scrapping" usually results in the loss of any warranty coverage should the vehicle need it down the road, although they will usually cover a safety-related recall. While some manufacturers simply add a "scrap" branding to the title of a car that is considered a total loss, others, like Ford Motor Company, settle a claim with the dealership, retrieve the vehicles and transport them to a facility where a representative of their insurance company witnesses the vehicle's destruction. In the case of a vehicle that has been titled but written off as a total loss by an insurance company, it generally means the vehicle has been damaged in such a way that it can't be adequately repaired for future use. A salvaged or rebuilt vehicle is a branding placed on the vehicle's title of ownership that declares the vehicle is a total loss, but then has been rebuilt or repaired. In this case, some states, like Michigan and others, will require a special inspection by a law enforcement officer, who will declare it safe before it can be driven on public roads again. Additionally, the reason for the salvage or total loss designation may not appear on any documents. But not all states regulate equally. While some have stringent laws governing scrapped and salvaged vehicles, others are not so tough. Sellers may remove the vehicles from one such state to another that has more lenient policies regarding cars that have been literally, if not figuratively, put through the ringer. Go with us for a moment with all the laundry day references. This procedure is known as "washing the title." The National Auto Auction Association is a clearinghouse for vehicle auctioneers that issues rulings and guidelines regarding when vehicles have been exposed to flooding and damage. They set forth arbitration policies and rules of guarantee that their members are recommended to follow, including a 48-month vehicle guarantee from the auction sale date for vehicles with salvage titles. We have heard stories of vehicles that have had their titles "washed" performing properly at the time of purchase and continuing to do so for many years. On the other hand, we have also heard from buyers who tell of power windows operating correctly for the first six months after purchase only to end up deader than a two-year-old bouquet of roses. It's a case where a serious car buyer should pull a vehicle report from AutoCheck, Research.com or CarFax to find out how well traveled this prospective new car actually is. If your desire is for a project car that could end up on the racetrack or off-roading, then a salvaged or rebuilt title car could be an affordable option to fulfill your need for speed. It's at that point that warranties become irrelevant anyway. Finally, it is always a good idea to contact your insurance carrier for the last word on whether to purchase a car with a salvaged or rebuilt title. Make sure you're covered before you knowingly buy a car with a salvaged title. Valuation of such vehicles is difficult at best, and your insurance broker may tell you that, in this case, it really is too good to be true.